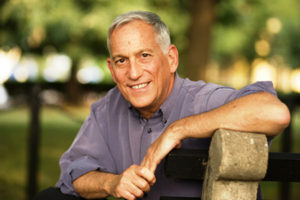 Walter Isaacson is a New Orleans native and one of America’s most celebrated journalists, biographers, and national leaders. Isaacson is a graduate of Harvard University and Pembroke College of Oxford University and the current president and CEO of Aspen Institute, a nonpartisan educational and policy studies institute in Washington D.C. Beginning his career at The Sunday Times of London and then the New Orleans Times-Picayune, he eventually joined Time magazine, going on to become its fourteenth managing editor. In 2001, he became chairman and CEO of CNN and then president and CEO of the Aspen Institute in 2003, the position he now holds. Rumor has it that he will be relocating to New Orleans to become a history professor at Tulane University. Isaacson has also authored multiple best-selling biographies on some of the most crucial contributors to American history. His books include The Innovators: How a Group of Hackers, Geniuses, and Geeks Created the Digital Revolution (2014), a biographical tale of the inventors of the computer, Internet, and other great technologies that we often take for granted today; Steve Jobs (2011), the record-breaking best-seller based on over forty interviews with Jobs, his friends, family, and business rivals; American Sketches (2009), an inspiring collection of essays that extracts words of wisdom from the most relevant and integral contributors to American society; Einstein: His Life and Universe (2007), an immersive exploration of Einstein’s personal, intellectual, scientific, political, and cultural life; Benjamin Franklin: An American Life (2003), an engrossing narrative about Franklin’s role in shaping America and his continued though under-cited presence in the twenty-first century; Kissinger: A Biography (1992), an in-depth exploration of the secretary of state and his tumultuous life in the public eye; and The Wise Men: Six Friends and the World They Made (1986), a co-authored book about the intellectuals who brought order to American politics following World War II and whose actions continue to majorly affect policies today.